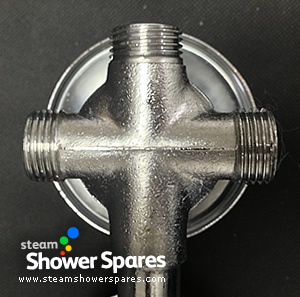 The valve has Three Ports meaning it can output to three different shower options; hand shower, overhead and body jets being the typical set up. 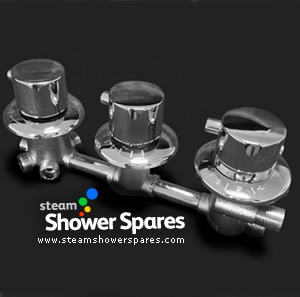 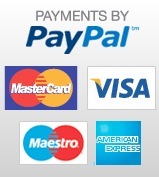 The valve can be fitted as a replacement or upgrade to shower cabins or steam showers. 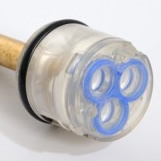 It comes with threaded COLD WATER IN and threaded HOT WATER IN on the lower part of the body. 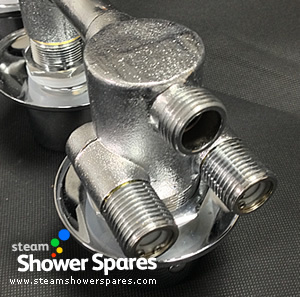 Some of the stock we have also has a THREADED WATER OUT which can be used to feed a water supply to a steam generator. 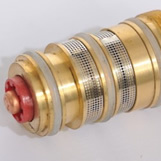 (stock without the 3rd "water out" connection are supplied with a brass T - piece in order to provide this connection to your steam generator if required) For fitting to NON STEAM models, simply cap this outlet (if fitted) off with a blanking cap (these can be purchased from your local DIY or plumbing store).